Wednesday, Jan. 17, 2018, 4:00-5:30 p.m.
Whatever our perspective - trainees and students, researchers, health care professionals, service providers, educators, individuals with disabilities or family members, or simply concerned citizens - we see ways that the disability service system can be improved. One dimension of changing service systems is educating legislators and other public policy makers. 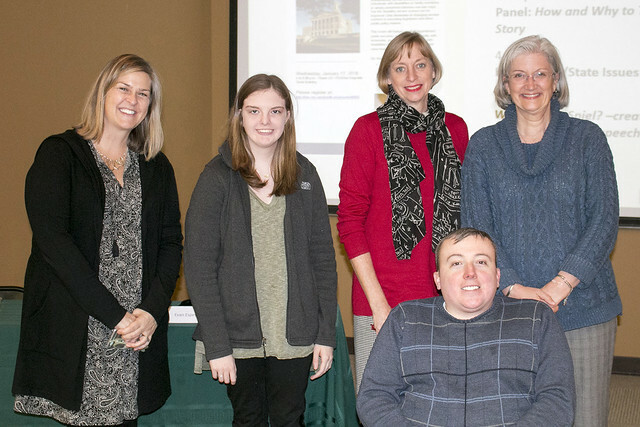 This event featured a panel of experienced public servants, disability professionals, and parents of individuals with disabilities to teach you about making your voice heard.